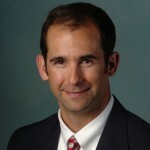 Daniel F. Soteres, MD MPH is a Board-Certified allergy/immunology physician with offices in Colorado Springs and Pueblo. He has been in private practice at Asthma and Allergy Associates and Research Center since 2005. Todd Mahr, MD, is a Board Certified director of pediatric allergy/immunology at Gundersen LutheranMedical Center in La Crosse, Wisconsin. 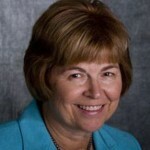 Bonnie B. Baswell, MD, FACAAI is a Board Certified Allergy & Immunology physician in Colorado Springs. She has been in Colorado Springs since 1984 and in practice at Colorado Springs Allergy & Asthma Clinic. Each allergist was asked the same questions, and their responses are copied exactly as they responded. The hope was that we would be able to better manage some of the nuances of food allergies in the school classroom. When you are asked to write a letter outlining school accommodations for a severely food allergic child, do you always suggest an allergen-free classroom(s) for the child? Or does this depend upon age or previous allergic reactions of the child? Dr Soteres: No, in general, I do not suggest and allergen-free classroom. However, I do make exceptions depending on the history and testing information. Multiple factors contribute to the decision. There are objective criteria like skin test and blood test results and subjective issues like the history of reactions and their severity, student and parent anxiety, as well as the school’s (administration and teacher’s) responses to these issues. Dr Mahr: Personally for me, it depends on the age of the child. As they get into 4th grade or older, I try and include the child in the recommendation as they often do not like to be singled out. However, safety is always first. We try and recommend no food in the classroom. Dr Baswell: I would recommend an allergen free classroom for peanuts and nuts from preschool until end of elementary school. This would include preventing foods that are labeled “may contain” from entering the classroom. If the food is something other than a nut, this would have to be addressed on an individual basis. As an allergist, if you suggest an allergen-free zone in a classroom, are you also concerned about foods containing an ingredient label stating “may contain…” being in the classroom? Or are you only concerned about products that actually include the child’s allergen? Dr Soteres: This is variable. A few kids are so sensitized to their allergens that the “may contain.” label may be a threat. For most, this is not a threat. Dr Mahr: We try and concentrate mostly on the labeled allergens, and this is difficult as with the labeling act, so many foods have had the “processed in..” it is hard for schools to operate in this gray zone. So with that, we usually have them acknowledge the labels. Dr Baswell: I would recommend an allergen free classroom for peanut and nuts from preschool until end of elementary school. This would include preventing foods that are labeled “may contain” from entering the classroom. If the food is something other than a nut this would have to be addressed on an individual basis. In a school setting, would you be concerned about a peanut allergic child touching a food that had a label stating “may contain peanuts”? Dr Soteres: In general ,“no”. Of course there are exceptions. Dr Mahr: Age dependent again, but indeed the younger the child, the greater the risk of that contact getting into a mucous membrane (mouth or eye). Dr Baswell: Yes, I would be concerned about contact reactions even if it was the ” may contain” labeling. In the school environment, is there an age or a level of ‘milder allergy’ where you feel comfortable with a patient of yours being in a classroom with their allergen being eaten or being used in an art project or science experiment? Dr Soteres: As kids get older I expect them to be less messy with their foods and kids with food allergies become more savvy and better self-advocates. The art projects and science experiments make me a little more concerned. In the past year there have been some nice studies that show some younger kids with allergy to say milk or egg seem to have a better chance of outgrowing their allergens if they tolerate the allergen in baked products AND continue to consume those products. Dr Mahr: Art projects generally not until middle school, but even then I prefer no food allergen in an art project, even at that age, but again we try and not have food in the classroom. Dr Baswell: I do have patients with milder food allergies that are manifested only by eczema on ingestion that I do not feel are at risk in a regular classroom. I would not want them to have contact with the offending food such as peanut butter in a science or art project so I would exempt them from this. If a parent tells you that their child has had inhalant reactions to an allergen, is there any way for you to test for this level of an allergic reaction? For example, does a higher IgE to an allergen signify a higher likelihood of an inhalant reaction? Dr Soteres: There are not good studies or any test to really back up the claim that a child has had an inhalant reaction or that they are at risk for one. We try to trust the parents’ judgment on this. When the lab tests are high, then it supports the history as well. Dr Mahr: Unfortunately IgE level does not correlate with sensitivity. Dr Baswell: In general, this is rare and the usual cases are of reactions to aerosolized fish or shellfish at home or in a restaurant. I would expect their specific IgE to be significantly high. I don’t do bronchial challenges for foods but there is some research on this. I would rely on their history of inhalant reactions and if this exists, their individualized health care plans would need to address this to prevent accidental exposures and to provide immediate treatment with EpiPens . What have you suggested for school accommodations for your patients with reported inhalant reactions? Dr Soteres: We have a few situations where we have suggested an allergen free classroom. My concern is that this can lead to a false sense of security. The main accommodation is to avoid contact and be prepared for a reaction when/if it occurs. Dr Mahr: I think this is an area where a more personal directive is needed, rather than a global policy, as they are all so unique. Thank you to these three doctors who took their time for our Task Force. After extensive discussion about the responses, the Task Force decided that every child with food allergies needs to be looked at individually for the accommodations necessary for the child to enjoy equal access to the curriculum. It was certainly helpful to be aided by the medical standpoint however! Great insight! We’re struggling with this currently and our son has had airborne reactions. We’re meeting with our allergist in 2 days as the district “nurse” and principal will only allow a nut free classroom if our allergist writes the recommendation. We hope he’s as enlightened as your panel. The principal and school district surely aren’t. (Oh, and our son has already had an allergic reaction because a child was allowed to eat peanut butter in the classroom–the back of the room so our child would be “safe”.) Neanderthals.